Colleran auctioneers has been favoured with the sale of No 56 Tara Grove, Wellpark, an impressive four bedroom semidetached house within walking distance of the city centre. Due to its excellent location, price, and condition this house will appeal to first time buyers, those looking to downsize closer to the city centre with every amenity on the doorstep, or those looking for a gilt edge investment close to GMIT and some of Galway's largest employers. Built approximately 25 years ago, Tara Grove is a small development with ample open space and mature trees. No 56 has the added advantage of open green space behind the house so its sun filled back garden is not overlooked. The newly painted and decorated accommodation includes large sitting room, bright kitchen/dining room and downstairs toilet. On the first floor are four bedrooms and a bathroom. Properties within this extremely popular and much sought after residential development within walking distance of Eyre Square do not come on the market very often so viewing of Tara Grove is strongly recommended. No 56 will be offered for sale by auction on Thursday December 6 with an advised minimum value of €260,000. Open viewing takes place on Saturday from 11am to 11.30am. 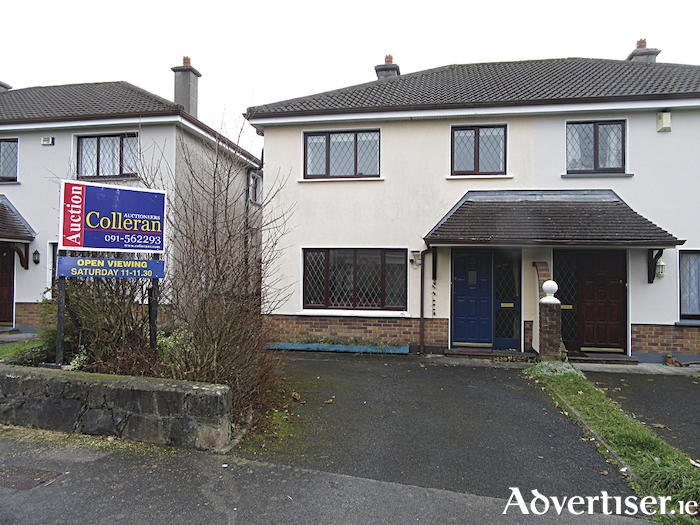 Also included in Colleran's December auction are No 18 Emmet Avenue, Mervue, a three bedroom terraced, AMV €210,000, open viewing Saturday 12 noon to 12.30pm; No 1 Beechwood Park, Ballybane, a four bedroom detached, AMV €265,000, open viewing Saturday 1pm to 1.30pm; No 8 An Lochan, Headford Road, a three bedroom secure separate floor apartment, AMV €125,000, open viewing Saturday 2pm to 2.30pm; and No 11 Ardilaun Road, Newcastle, a three bedroom detached, AMV €280,000, open viewing Saturday 3pm to 3.30pm. Page generated in 0.0903 seconds.